rchased at least 10 years ago as a very nice example of a 9X1, on bluish-white paper and had sat unexamined in that collection ever since. ere are 4 additional covers from this correspondence, dated December 15, February 9, March 10 and March 30, all in 1847. 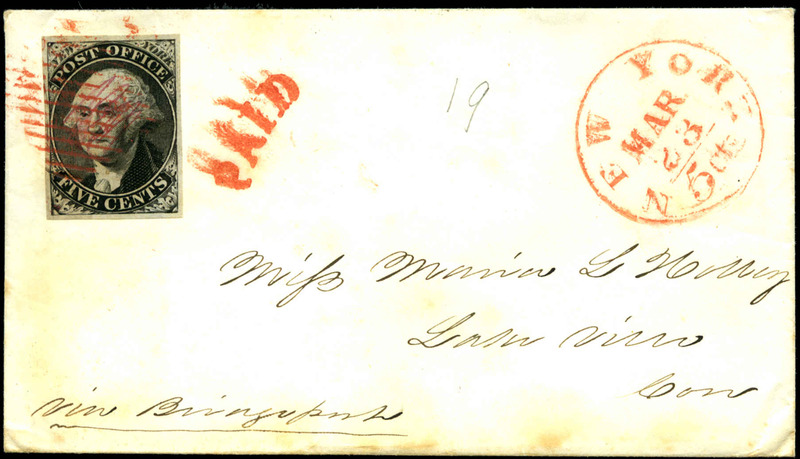 The two covers postmarked in March were certified as the very scarce gray paper variety, of which an estimated 12 were known to exist on cover. What is the likelihood that a cover, postmarked on March 23, right in the middle of the March 10 and March 30 covers, and part of the same correspondence, was a bluish white paper, and not the gray paper? The March 23 cover was sent to the PF, along with the information about the other two covers. 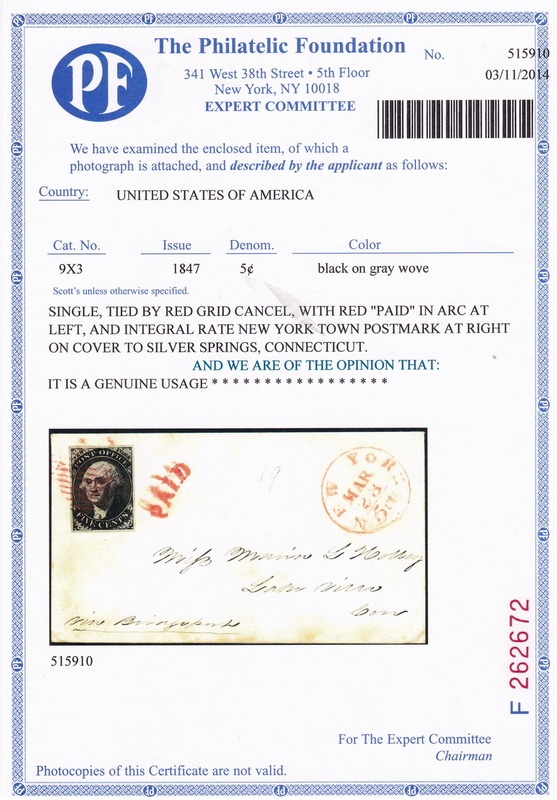 Based on the expertise of the PF staff and their extensive research library, it was certified as the 13th known on-cover gray paper variety of the NY postmaster provisional. 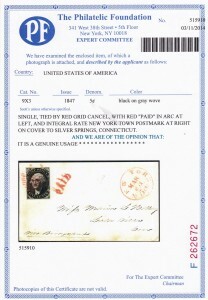 Written by Mark S. Schwartz who is a Trustee on the Board of the Philatelic Foundation.